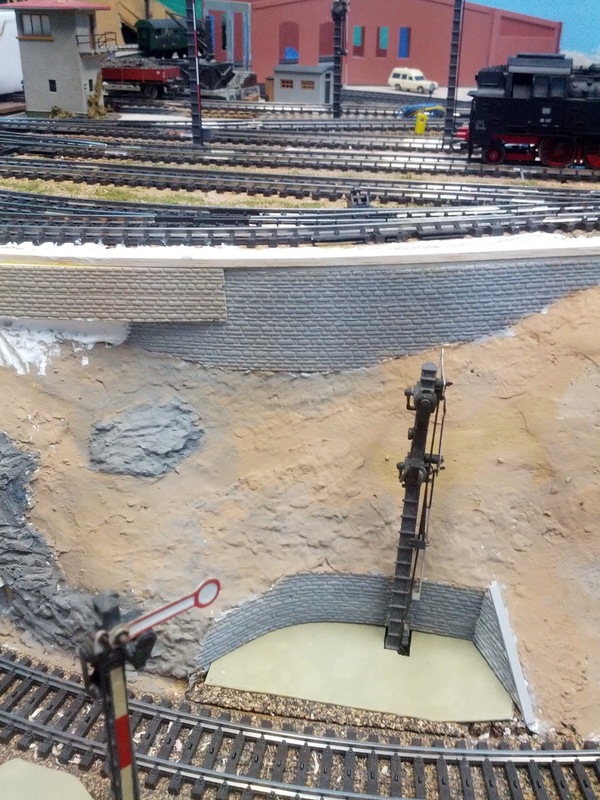 Yard track #6 ran very close to the edge of the retaining wall. I figured it'll be ok. 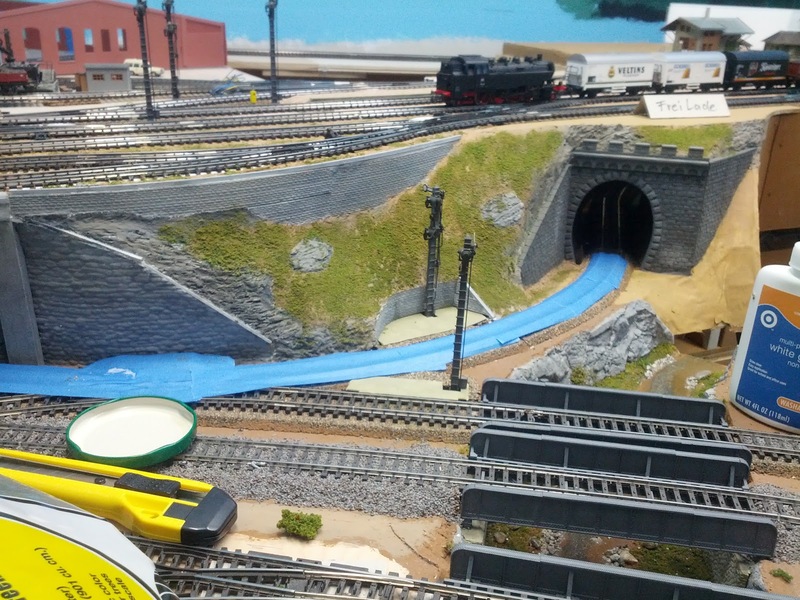 However, when I put a locomotive on the track, I couldn't stand how silly it looked that the cylinders hang over the abyss. A bit more room to the side of the track was necessary. Which meant, I had to redo the retaining wall I installed about year ago. Of course, I didn't want to rip everything out, and redo both inclines of the wall. Only the left half was partially cut away, and covered up with new wall. I used the same methods as before, glue the wall, fill the gaps with Scuptamold, then paint everything, and we have a fairly nice looking curved wall with a slight bend in the middle. While at it, I might as well make nails with heads, and add some long overdue greenery to this section. 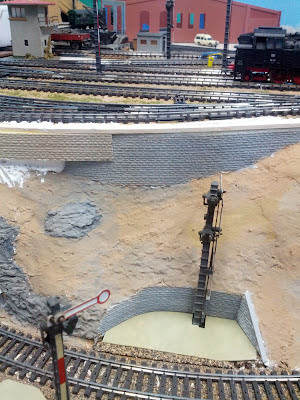 Did I mention yet, that the unfinished parts of the layout make a great work-surface. I'll have to come up with something else when more scenery is in. By the way in this photo the dent in the wall is quite nicely visible. While building I figured I'll cover it up later with ... something. 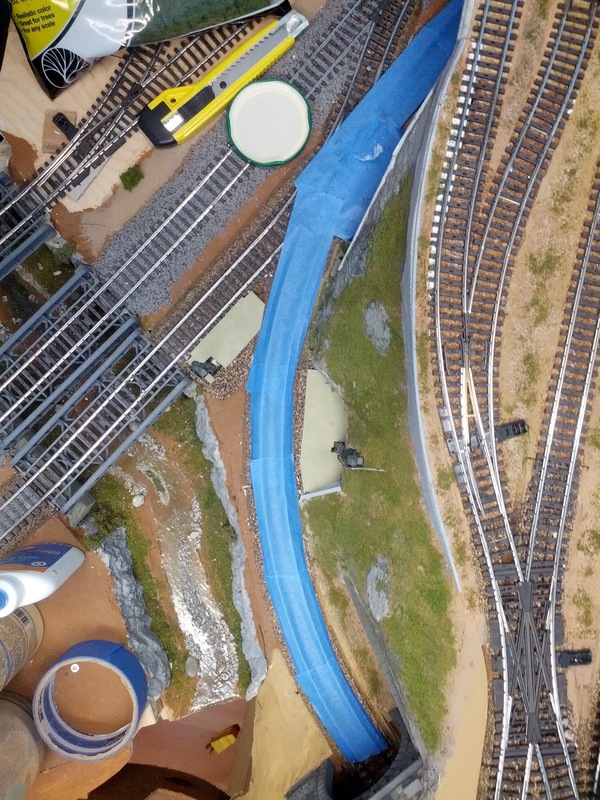 Aerial view of turnout to track 6, and retaining wall. To the left of the covered track, the "river" Welz. 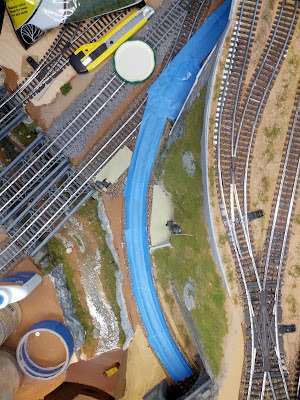 The aerial view shows how the additional space between track and wall helps balancing the look. Much better now. 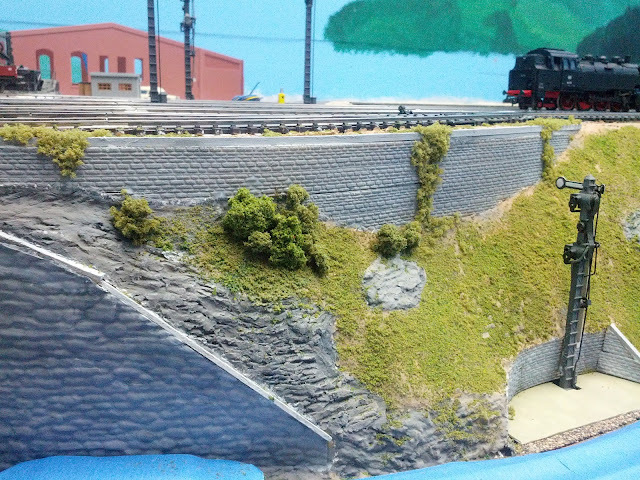 Finally, I started to add bushes and weeds to give the hillside more structure, as well as cover up that pesky dent in the wall.